TOKYO, May 20, 2015—Canon Inc. and Canon Marketing Japan Inc. announced today that the Company’s EOS-7D Mk II digital SLR camera (launched in October 2014) has been honored with two prestigious Camera Grand Prix (GP) Japan 2015 awards—“Camera of the Year” and “Readers Award”— while the EF 11-24mm f/4L USM ultra-wide-angle interchangeable zoom lens (launched in February 2015) was selected for the “Lens of the Year” award. The Camera Grand Prix (GP) Japan awards, considered one of the most sought-after camera and lens product awards in Japan, are organized by the Camera Journal Press Club (CJPC),1 comprising journalists from major photography and camera magazines in Japan. This year marks the award’s 32nd time to be held. The Camera GP Japan 2015 Camera of the Year title was presented to the most outstanding camera from among the 111 models launched in Japan between March 1, 2014, and March 31, 2015. As further indication of the EOS-7D Mk II’s overwhelming popularity, the camera was also honored with the Camera GP Japan 2015 Readers Award, based on an online vote by general users. In addition, the EF 11-24mm f/4L USM took home the Lens of the Year award, resulting in Canon taking home three out of the four Camera GP Japan awards presented this year. 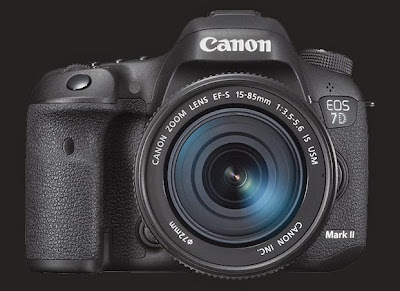 The EOS-7D Mk II, the Company’s APS-C-size flagship-model digital SLR camera, delivers a fast continuous shooting speed of up to approximately 10 frames per second (fps) and employs a 65-point all cross-type AF system making possible superior AF performance. 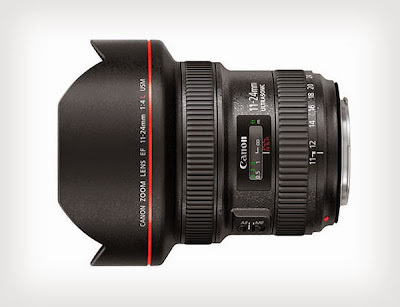 The EF-11-24mm f/4L USM, in addition to boasting an impressive minimum focal length of 11 mm to achieve the world’s widest angle of view,3 minimizes the occurrence of chromatic aberrations and achieves superior image-quality performance from edge to edge. Selected for the prestigious Camera of the Year award, the EOS-7D Mk II was lauded for its fast continuous shooting speed of 10 fps, 65-point all cross-type AF system, and other advanced features that, according to the committee, befit a flagship-level digital SLR camera. The camera was also recognized for bringing these high-level features together into an easy-to-use design, enabling users to effortlessly capture not only moving subjects, but any type of subject. Furthermore, the jury members highlighted the camera’s “revolutionary” anti-flicker function, which ensures optimal exposure when shooting in environments lit by fluorescent or mercury-vapor lighting. The EOS-D Mk II was said to be the only digital SLR camera equipped with an APS-C-size sensor that made its presence felt and, thanks to its telephoto effect, continuous shooting speed and other features, once again brings new value to the APS-C-size sensor format. In addition, the committee noted that Canon’s promotional efforts in Japan were successful in generating buzz for the camera, lauding the Company’s marketing materials, which included seven catalogues that each focused on a different photography genre, as appealing and easy to understand.